Valmet has signed a distribution agreement for wastewater automation with Hanchang Corporation to strengthen its wastewater business in Korea. According to the agreement, Valmet provides its advanced wastewater automation and measurement technology, while Hanchang is responsible for the sales, engineering and service in Korea. Hanchang has a well-established presence and strong track record in wastewater industry in Korea. Together with Valmet's strong automation expertise and advanced technology, the companies can expand wastewater automation and measurement business and help the wastewater industry to improve and optimize their processes. "Through the cooperation with Valmet, we expect to be able to provide environmental technologies to sludge disposal in various sewage treatment plants and wastewater generating sites in Korea. This will help the plants to minimize their life-cycle cost with advanced automation technology," says Mr. Song Ha-jeong, CEO of Hanchang Corporation. 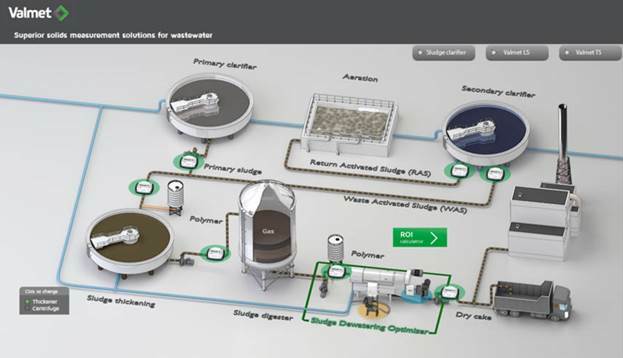 Valmet's automation and measurement solutions portfolio includes long tradition of pioneering innovative measurement solutions for wastewater. Valmet has over 1,000 references of solids measurement systems in municipal and industrial plants globally, with proven results.